Who is Responsible for Drain Blockages? The property owner is usually responsible for drains inside the boundaries of the property, while the sewerage company is responsible for lateral drains, which are outside of property boundaries, and sewers. Although most sewers are now publicly owned, there are still some private or unadopted sewers. If your property is served by one of these, you may be responsible for maintaining it. What’s the difference between a drain and a sewer? A drain is a pipe that drains water and waste from a building and other buildings which belong with it, for example a garage. A lateral drain is a length of pipe which carries wastewater away from your property. 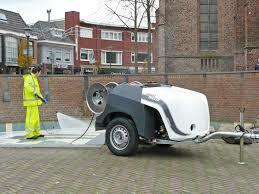 It’s located outside your property boundary, often under a public pavement or road. A sewer collects water and waste from the drains of several buildings. Most sewers are publicly owned and are maintained by your water company. However, there are still some privately-owned sewers. Some people aren’t connected to a sewer but to a cesspool, septic tank or treatment plant. If you aren’t connected to a sewer, you won’t have to pay sewerage charges to a sewerage company. Sewers and Drains are only designed to take the water from your toilets, sinks, baths and showers along with human waste and toilet tissue. Everything else should be put in the bin. Wipes – even ones that say ‘flushable’ don’t break down and block pipes. Sanitary items (e.g. towels and tampons). 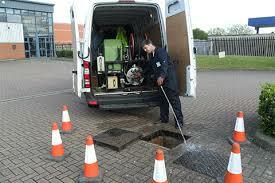 How To Clear a Drain, Sewer and Gully Blockages! There are several ways we can unblock drains if it is a standard blockage Draintech are able clear a lot of blockages without using mechanical equipment. Our reliable rods very often do the trick. If the blockage is not standard we are able to use our jetting hoses which will use high pressure water to remove and clear the blockage. Monitor the waste that goes down your drain pipes on a regular basis. Ensure food does not go down drains, and using adequate soaps and detergents to break down the grease and oil used in cooking. Don’t pour grease directly down the drain. If you must pour it into the drain, always follow with a blast of cold water as this solidifies the grease and stops it from clinging to pipes. Avoid dropping any foreign objects such as hair grips down drains as these will quickly collect other debris such as hair and cause a block. Nappies, tampons, face wipes, and cotton wool should be placed in the bin and not flushed down toilets. Using excessive amounts of toilet paper can also be a common factor in drains becoming blocked, so ensure you are using just enough each time. Keep the drains in your yard free from leaves, foliage or any other garden waste which could be washed into the drain and cause an obstruction. Sweeping your garden regularly and using a compost heap for leaves is one way of preventing these drains from becoming blocked. If blocked drains become a problem, you may need to get a professional drainage engineer out to pinpoint the cause and alleviate the blockage.